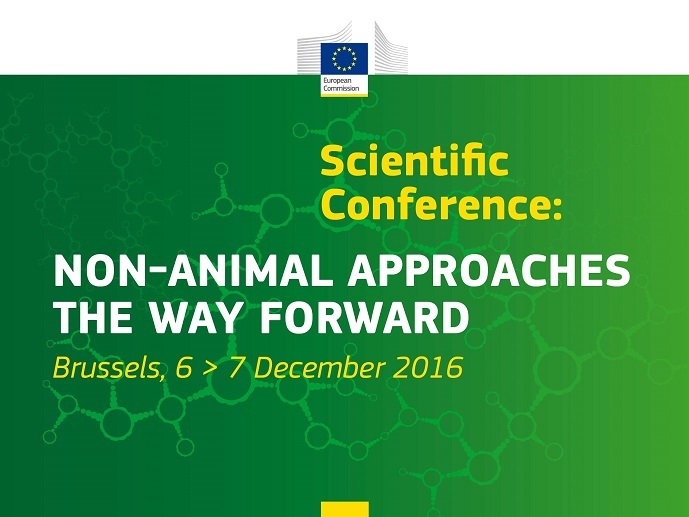 The European Commission organised a scientific conference in Brussels on 6 and 7 December 2016 to engage the scientific community and relevant stakeholders in a debate on how to exploit cutting e dge advances in biomedical and other research in the development of scientifically valid non-animal approaches (alternatives to animal testing). The conference brought together people from different countries, scientific disciplines and sectors with expertise in research involving animals and / or non-animal alternative approaches. Through scientific presentations and panel discussions attendees explored the current benefits and limitations of different models, and considered how to improve the quality and predictivity of models used in research, including approaches to accelerate non-animal alternatives. The conference was announced in the European Commission Communication responding to the European Citizens Initiative "Stop Vivisection" and is one of four actions that should contribute towards the goal of, ultimately, phasing out animal testing. The other three actions are: (1) accelerating progress in the Three R's through knowledge sharing, (2) development, validation and implementation of new alternative approaches, (3) enforcement of compliance with the Three R's principle and alignment of relevant sector legislation. The conference included a session to report progress on these other three actions detailed in the above Communication to the European Citizens Initiative Stop Vivisection from 3 June 2015). The JRC Report on Action 1 has been published after the conference. The Conference report covers all the presentations, panel discussions and opinions (including those submitted e.g via Twitter), accompanied by overall conclusions and recommendations that emerged from the discussions, however, without a formal endorsement by the participants. It attempts to represent the discussion held during the Conference but should not be viewed as a complete review of this area of science or related legislation.